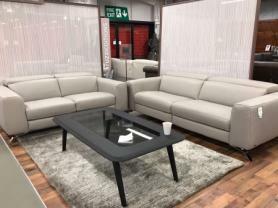 Beautiful full Italian thick protecta child friendly leather. The sofa has pocket sprung seating which makes it extremly comfortable. The backs are very supportive just what you need to relax. Approximate Measurements: 203 cm x 230 cm D: 94 cm.